Toxic Run Obstacle Course - Jumpin Jiminy - Make Your Events Awesome. 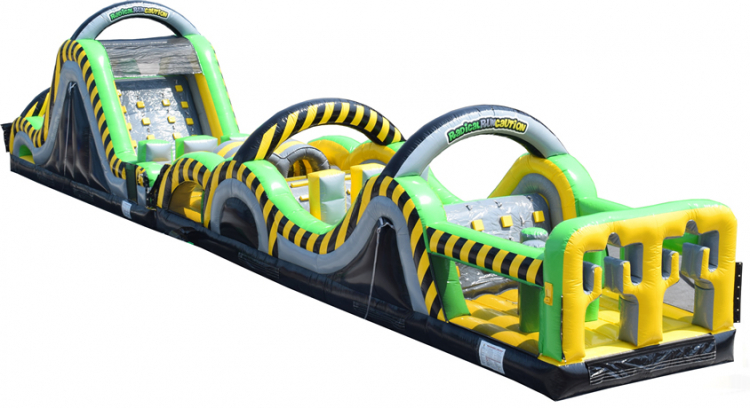 Our NEW Toxic Run Obstacle Course will thrill your partygoers! 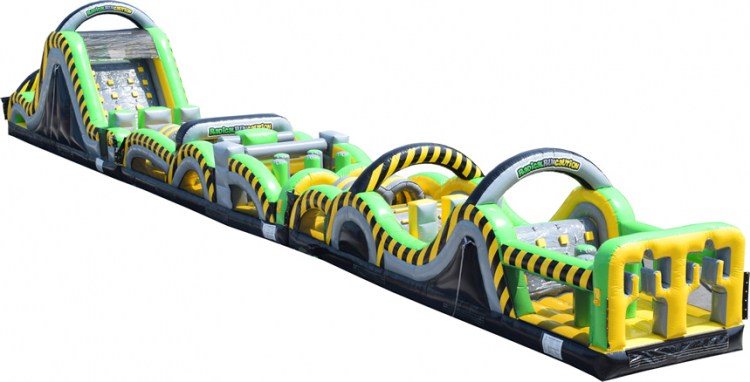 It is 95' of pure adrenaline-pumping physical challenges, topped off by an exciting slide at the end and all of it is brilliantly themed with the yellow and black "toxic" stripes. THIS is what you want for your project prom or post-grad event! Imagine this for your company picnic or church VBS! And your birthday party will be the best one ever when you rent this. Call today! We service all of Oklahoma as well as Arkansas, Missouri, and Kansas.